Stoneleigh Park has a wide range of commercial property to let, ranging from small serviced office suites to larger office buildings, technology accommodation, workshops and storage. New development and pre-let opportunities are available to create bespoke commercial property. 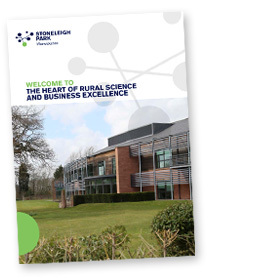 The Rural Innovation Centre, based at Stoneleigh, is aimed at supporting small businesses in the rural areas of Warwickshire. It is a suite of serviced offices designed to provide a stress free environment to help small and new businesses to grow and flourish. It has been funded partly by DEFRA as part of the Rural Growth Network project, aimed at growing employment in rural areas. Click here for more information about the Rural Innovation Centre.